ANN ARBOR, MI – May 4, 2017. – North American robotics companies posted the strongest ever first-quarter results, according to the Robotic Industries Association (RIA), the industry’s trade group. Both robot orders and shipments achieved record levels. RIA and its sister group, AIA – Advancing Vision + Imaging, are teaming up to bring more content on leading-edge robot and machine vision trends in 2017. The Collaborative Robots & Advanced Vision Conference will take place November 15-16 in San Jose, CA, and will feature presentations from market leaders in robotics, vision, and imaging. More information will be available in the coming weeks on the RIA (www.robotics.org) and AIA (www.visiononline.org) websites. 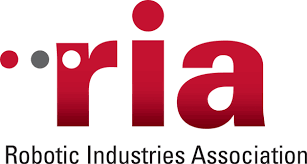 Founded in 1974, RIA is a not-for-profit trade association driving innovation, growth, and safety in manufacturing and service industries through education, promotion, and advancement of robotics, related automation technologies, and companies delivering integrated solutions. RIA represents some 450 robot manufacturers, system integrators, component suppliers, end users, consulting firms, research groups, and educational institutions. The association hosts a number of educational events including the National Robot Safety Conference (October 10-12, 2017 in Pittsburgh), the Collaborative Robots & Advanced Vision Conference (November 15-16, 2017 in San Jose), the A3 Business Forum (January 17-19, 2018 in Orlando) and the biennial Automate Show & Conference (April 8-11, 2019 in Chicago). RIA also provides quarterly robotics statistics and has a content-rich website, Robotics Online. For more details on RIA, visit www.robotics.org or call 734/994-6088. The Association for Advancing Automation is the global advocate for the benefits of automating. A3 promotes automation technologies and ideas that transform the way business is done. A3 is the umbrella group for Robotic Industries Association (RIA), AIA – Advancing Vision + Imaging, and Motion Control & Motor Association (MCMA). RIA, AIA, and MCMA combined represent over 1,000 automation manufacturers, component suppliers, system integrators, end users, research groups and consulting firms from throughout the world that drive automation forward. For more information, visit: A3 – www.A3automate.org. RIA – www.robotics.org. AIA – www.visiononline.org. MCMA – www.motioncontrolonline.org.